Hello, everyone today I will be talking about Kat Von D Saint perfume that I'm completely in love with! 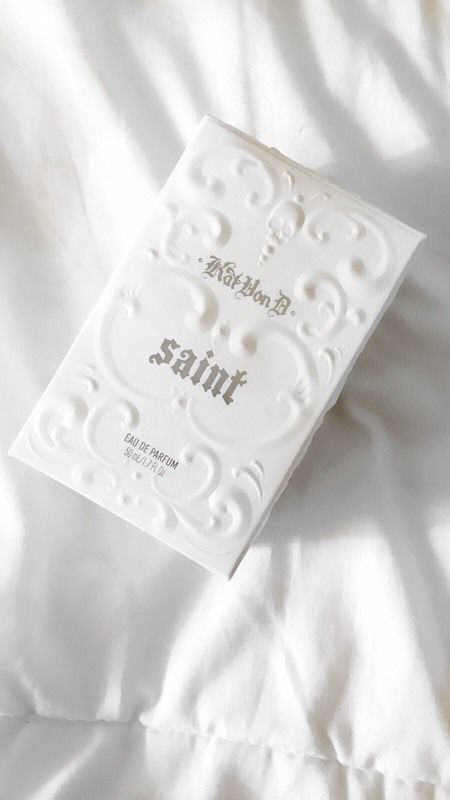 The reason I got Saint is that I mostly like my perfume scent soft, feminine and a bit of floral and I'm glad that I purchased my self the Saint perfume which I highly recommend to everyone. Her saint is this soft musk but gives this really micro strong smell but still soft that combine with Jasmine and Vanilla, at first I thought it had lavender but according to her ingredients, it's Jasmine. Not that I'm complaining I really like the scent. 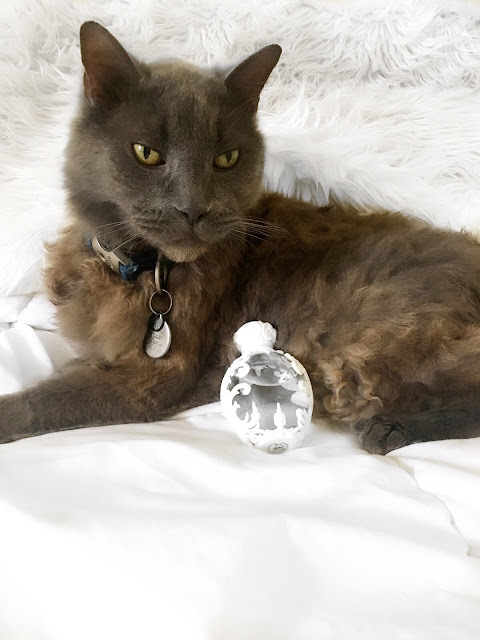 It's 100% vegan so for those who are looking a Cruelty-free and vegan perfume product Kat Von D is so far my top choice. 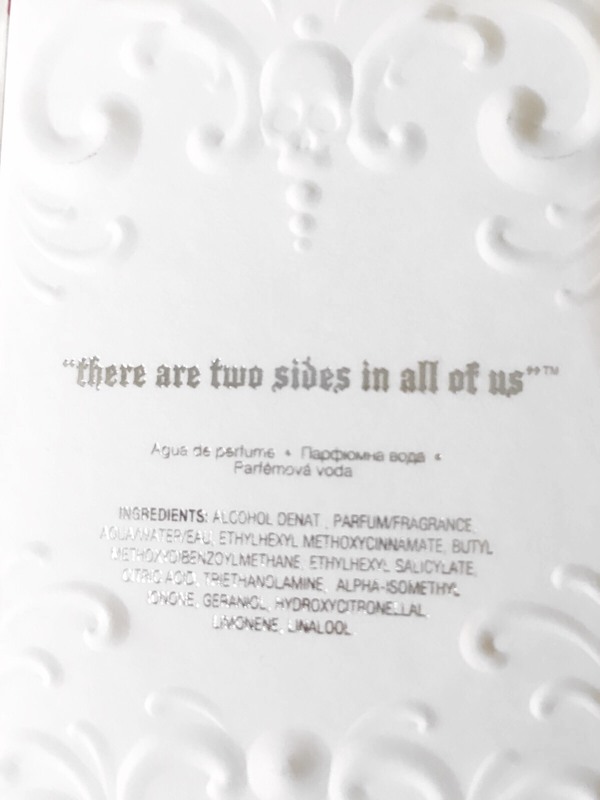 The detail of the perfume is amazing we all get (well in all of her products) a piece of her artwork the cap have her logo, as usual, reminds me that wax seal envelope makes me think during the Edwardian era and Victorian era. 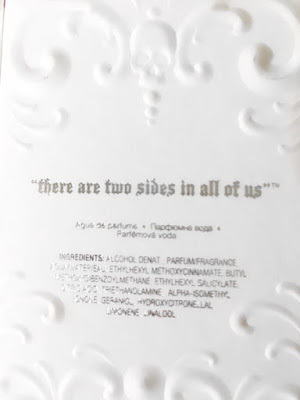 To finish it off the box is really pretty and I may get myself the Sinner since a blogger changed my mind when she talked a bit of the Sinner perfume.